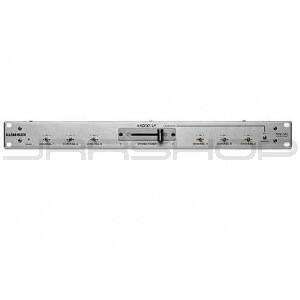 The XONE:V6 Crossfader is a 1U rack module which adds crossfade capability to the XONE:V6, allowing the user to select any input to either side of the crossfader when required. Utilising a Penny&Giles conductive plastic crossfader and high performance voltage controlled attenuators, the module interfaces with the XONE:V6 via channel insert points. The unit offers the DJ further flexibility - the crossfader can be switched between mix and scratch type curves.